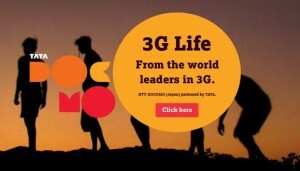 The Tata Docomo 3G trick is leaked among its customers.But you must have 3G enabled handset to use Tata Docomo 3G service.One of my friend in Jalandhar getting 150-200Kb/s in his mobile Nokia 5235.Keep in mind 3G speed depend on your tower conjunction,your area,your mobile capability e.t.c. Download the UCWEB 7.2 provided here.when you downloaded the UCWEB 7.2 just run it. It asks you the permission for accessing Internet Network Connection.Just set Permission to “Access the internet and asks once only”. You must activate default settings as “Tata Docomo Dive In” not Tata Docomo Internet. Now your free 3G internet connects without any disconnection problem. Now open any browser as per your wish!Do the proxy settings in your browser for example take the Mozilla Firefox browser. First open Mozilla Firefox browser then go to Tools—->Options—->Advanced—->Network then click settings. Now click the option “Manual Proxy Configuration” then enter Proxy address -10.124.94.7 and enter port address 8080 just save it. When you finished all the above settings enter www.tata.in.flyproxy.com ,the webpage opens now.Now enter the URL which you want to browse o download. This trick works only in 3G network not in 2G network.If you try it in 2G network your balance will be deducted.Kindly note there is no GPRS plan activated on your mobile Number except Divein.